This section provides links to a variety of films and video clips related to Kingston aviation. 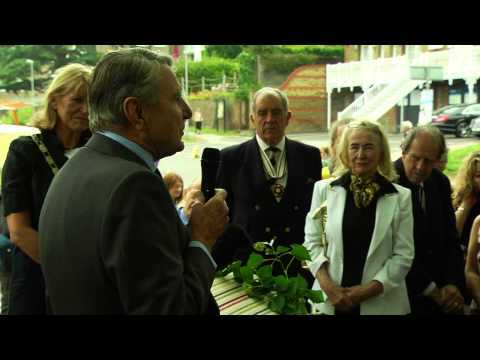 Tommy Sopwith's speech at the Plaque unveiling ceremony, 20th September 2014. Sopwith Tabloid marking 100 years of aviation in Kingston A century ago the Sopwith Aircraft Company made history in front of Turks Boat Builders with their famous aeroplane, the Tabloid. 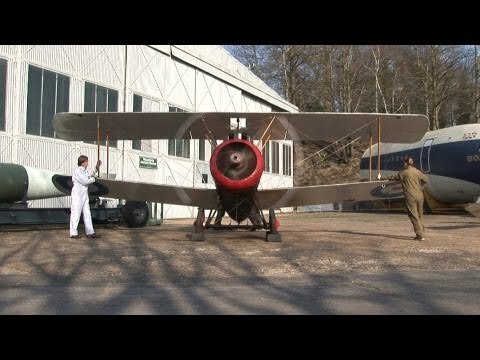 In September, with the support of Creed-Miles, Kingston Aviation celebrated this landmark moment in Britain's race to the skies by building an accurate replica of Sir Thomas Sopwith's floatplane, the first British aircraft to win an international air race.Many preparations went into readying the scene for the big event. And it was only appropriate that the re-enactment of the test flight would take place directly in front of the same historic building where the original Tabloid had earned its wings, known today as the Albany Boathouse. The biplane arrived in pieces, requiring that a crack team of aviation enthusiasts piece her together prior to positioning. No expenses were spared in building an accurate replica, to the extent that Tommy Sopwith, who was on hand for the event, commented that the workmanship was “bloody marvellous” and that his old man would have been immensely proud.Finally, the replica Tabloid was ready to go to the water’s edge. To mark the historic occasion, Creed-Miles presented Tommy, the son of Britain's famed aviation mastermind, with a limited edition print of the historic Turks Boat Builders building.There was then time for photo opportunities with the fully assembled craft and for Kingston Aviation to unveil the historical marker and commemorative plaque. It was a great day for everyone involved and we were thrilled to have been given the chance to pitch in and participate in a very special day for Kingston upon Thames. 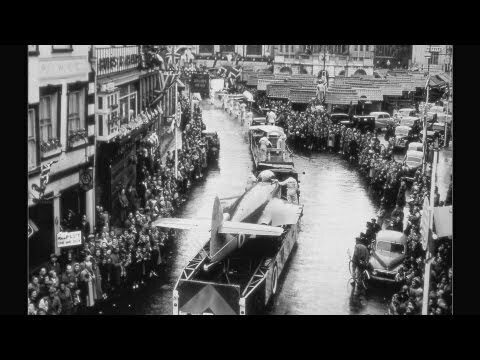 Tommy Sopwith opens the KIngston Aviation Festival (Running time 17 minutes) Footage of 'young' Tommy Sopwith opening the Kingston Aviation Festival on the 2nd June 2012. 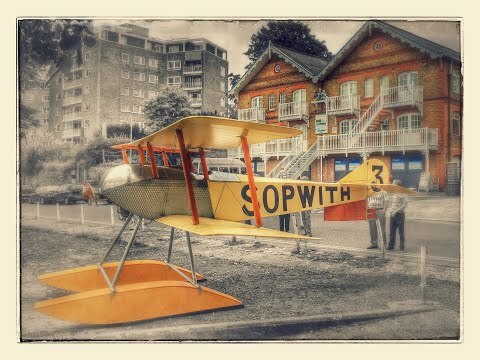 The three day festival was held in Kingston upon Thames Market Place and marked the centenary of Sir Thomas Sopwith bringing his aircraft manufacturing concern to the 'Skating Rink' in Canbury Park Road, Kingston in 1912. 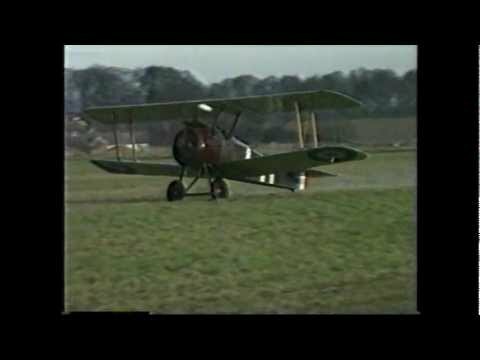 Sir Thomas Sopwith documentary (Running time 29 minutes) This is a BBC documentary on the life of Sir Thomas Sopwith containing early film and an interview with Sopwith in old age. It contains Sopwith’s well known riposte to Raymond Baxter’s question, ‘To what do you attribute your great success’. His reply, ‘Pure Luck’.Sir Thomas Sopwith lived from the first days of flight through to the jet age. 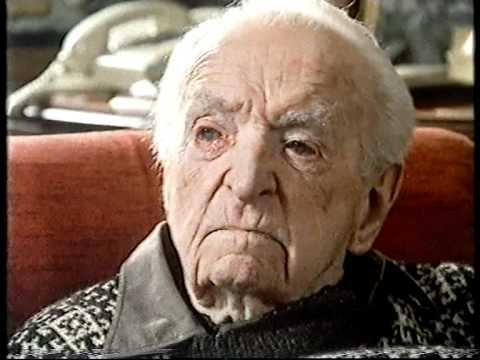 He died in 1989 aged 101. This film was made in 1984. Centenary Art Exhibition (Running time 6 minutes) As well as the Aviation Festival in June 2012, a number of other events were held to mark the centenary of the aviation industry coming to Kingston. One of these was an Art Exhibition held at Kingston Museum and featuring aviation art of many famous Sopwith and Hawker aircraft. 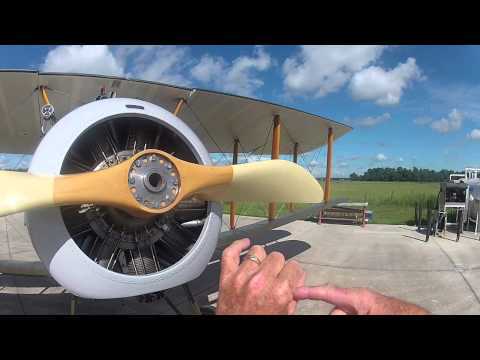 This short film by Brooklands volunteer Andy Lambert records the event. Harrier - 1988 Documentary This rather old documentary from YouTube contains good quality film of all phases of Harrier development including footage from Dunsfold and a small amount from Richmond Road.The primary focus however is on the first generation of the Harrier jumpjet - from the P.1127 prototypes through to the Sea Harrier FRS.Mk 1.Running time 61 minutes. The Hawker Hunter Definitive Documentary This documentary of the highly successful Hawker Hunter is introduced by Bill Bedford, former Hawker Chief Test Pilot.Running time 60 minutes. 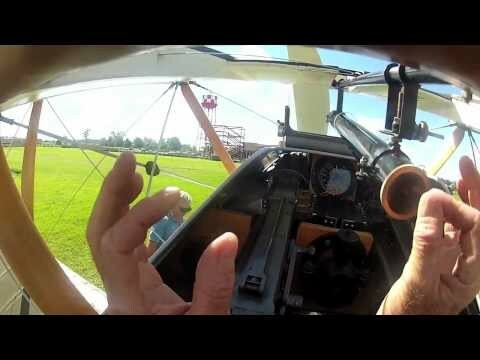 A Celebration of Sopwith and Hawker aircraft in the air (Running time 8 minutes) A combination of various clips by Andy Lambert showing Sopwith and Hawker aircraft flying, It was created for the centenary celebration held in Kingston in 2012. 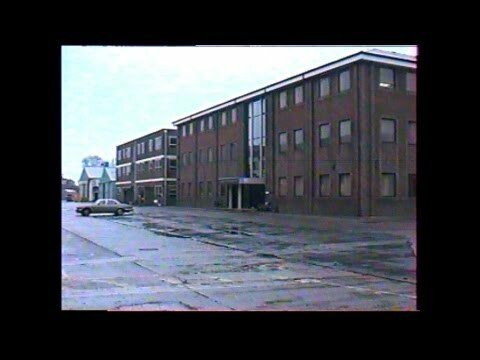 Hawker Aircraft/British Aerospace Factory, Richmond Road Ham (Running time 6 minutes) This short video shows parts of the old Richmond Road factory just prior to demolition in 1993. It was built as National Aircraft Factory No. 2 during the First World War and was used by Sopwith Aviation. The factory was taken over by Leyland Motors in 1920 but was bought back by Hawker Aircraft in 1948. The frontage was completely rebuilt in the late 1950s and the building became a Kingston landmark. It became part of British Aerospace when the aviation industry was nationalized in 1977 and was finally closed in 1992. Cliff Bore - How it started (Running time 12 minutes) Cliff Bore, aircraft designer, explains how he was inspired. Extracts from an interview and from his book. Sopwith Camel engine runs at Brooklands (Running time 6 minutes) This is a close up of engine runs on the Brooklands Museum rotary-engined Sopwith Camel. It was filmed at the Morris and Austin day at Brooklands Museum in 2012. Part One - Sir Sydney Camm Centre opening. Running time - 21 minutes. 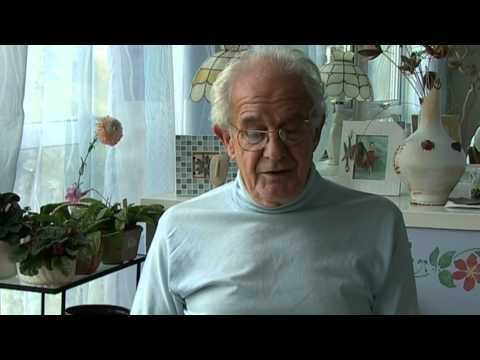 This is a film of a round table discussion held to mark the opening of the Sir Sydney Camm Centre at Kingston University on 25th March 2010.The conversation here focuses on portraying Camm as he was via personal anecdotes and why he should be better remembered than perhaps he is.Participants are -:Ambrose Barber, Ray Searle, John Farley, Derek Sims, Duncan Simpson, Gordon Jefferson, David Edwards and Harry Frazer-Mitchell. The facilitator is Brian Cathcart of Kingston University. Part Two - Sir Sydney Camm Centre opening. Running time - 21 minutes. The conversation here covers what were the hallmarks of a Camm-designed aeroplane - with contributions from the two test pilots. Also, how Camm managed to surround himself with talented people, many of whom went on to achieve great things in the aircraft industry. Part Three - Sir Sydney Camm Centre opening. Running time - 21 minutes. Topics covered in this section are how Camm's teams produced practical and simple designs. And what an aerospace student of today can learn from Camm's life and work. Part Four - Sir Sydney Camm Centre opening. Running time - 14 minutes. The conversation ends with a discussion of what was Camm's best aircraft and with some questions from the audience.